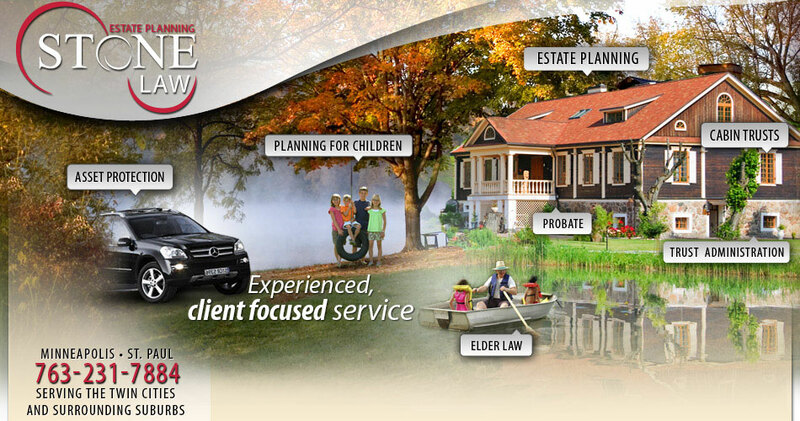 STONELaw represents individuals, families and business owners throughout the state of Minnesota with Estate Planning, Elder Law, Probate and Trust Administration and Business Planning. StoneLAW, PLLC was created with the purpose of assisting clients in the highly personalized service of estate planning and the sometimes emotionally difficult process of estate administration. Focusing on buiding strong relationships in a client centered practice, concentrating on the many intricacies of each individual situation, and taking into account each client's individual values, needs and goals, StoneLAW strives to provide high quality, efficient legal representation to clients in a cost-efficient manner. It would be a pleasure to hear from you, so contact StoneLAW, PLLC, Twin Cities Estate Planning Boutique Law Firm via telephone or email with your questions, comments or concerns. Alternatively, if you would like to schedule a consultation at no charge, please contact our office. StoneLAW, PLLC is a boutique law firm that assists clients in Minneapolis, Saint Paul and throughtout the Twin Cities region including Osseo, Hamel, Wayzala, Long Lake, Hopkins and Loretto in Hennepin County, Wright County and Ramsey County.